GamerSushi Asks: E3 2012 Predictions? Is it really already time for another E3? No matter how hard I try to avoid it, the calendar confirms that another round of the Electronic Entertainment Expo is upon us, this time hitting us with all of its buzz June 5-7. For our hobby, this is the equivalent of a holy week, one of those high festivals that requires our time, celebration and perhaps even woe. Although that last one is probably more apt if you’re waiting on a Half-Life 3 announcement. So, with E3 right around the corner, we thought we would ask you guys what your E3 predictions are. Honestly, I have no idea what to expect from this year. Now that Nintendo’s unabashedly broken the next generation ice with the showing of Wii U, this is a year where people are anticipating similar reveals from both Sony and Microsoft. Despite the numerous claims to the contrary, I tend to fall in that camp as well. But then you never truly know. In terms of specific announcements from other notable developers, I expect a Dragon Age 3 tease of some sort from Bioware, since their other big franchise has laid down to rest for the moment. I also expect something new out of Valve, since they have no releases lined up after CS: GO and Dota 2 this year. I’m also banking on another entry to the Metal Gear Solid series. So what about you guys? What do you expect or hope to see from E3 this year? Tell us your E3 predictions. Go! Posted on May 28, 2012 Author EddyCategories E3 2012, GamerSushi Asks, GamerSushi News, Industry News, nintendo, PC, sony, XBox 360Tags cs go, e3, e3 2012, half life 3, mgs 5, wii u9 Comments on GamerSushi Asks: E3 2012 Predictions? Interesting. I’m not sure if you guys have heard about Geoff Keighley’s The Final Hours of Portal 2 app for the iPad, but it sounds like a fascinating look into the development of Portal 2, particularly the last few weeks before it was done. 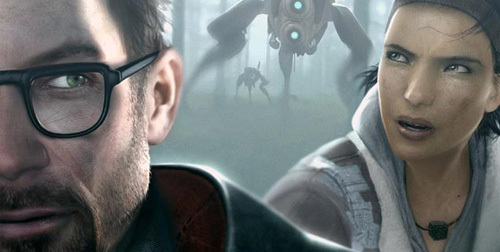 Keighley was given a staggering amount of access to Valve, much like when he covered the Final Hours of Half-Life 2, and I’ve heard the results are phenomenal. So what do you guys think about this quote and about its implications? Is it just the gaming press getting out of hand? Or could you see there being something to this idea? It should be noted that Valve allowed Keighley to publish whatever he wanted with no limitations as soon as Portal 2 was done, so it’s very likely that he did in fact hear this straight from Gabe’s mouth. 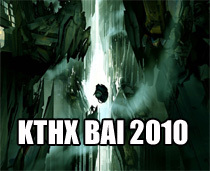 Posted on April 25, 2011 Author EddyCategories Co-Op, FPS, GamerSushi News, Gaming Theory, Industry News, multiplayer, PCTags final hours of portal 2, half life 2 episode 3 co op, half life 3, valve single player3 Comments on Is Valve Done with Single Player Games?